Get your old-school on with your new iPad Air. Though the iPad Air will run visually complex games like Infinity Blade 3 and The Walking Dead very comfortably, that doesn't mean you can't indulge in some old-school fun. In fact, the App Store is full of classic retro favorites, whether you're up for fighting, shooting or just getting stuck into a favorite title you grew up with. We've hand-picked ten retro games that are essential downloads for your new iPad Air, so take a trip back in time with us as we explore these oldies - but very, very goodies. "Hail to the king, baby!" This manlier than manly hero has shown his dominance over the years, and this original 3D epic is well worth experiencing on your iPad Air, if only to see what kind of crazy weapons you can unleash upon all those enemies. Shrink and stomp, anyone? Although converting an 80's side-scrolling shooter into a free-to-play title may not sound like the best way of pleasing nostalgic gamers, Contra Evolution manages to pull the trick off in style, with great gameplay, challenging levels and remastered visuals and music. Lock and load people! Everyone grew up with Frogger in some form or another. Konami has done a great job of bringing him up to modern gaming standards, mixing the classic hopping gameplay with a variety of great modes, as well as special skins based on Castlevania and...Dance Dance Revolution? Hey, it works. 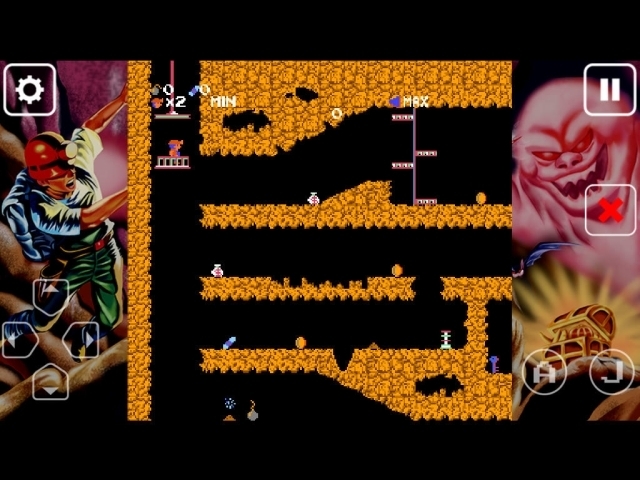 Tozal Games' recreation of the classic 1987 action game may not exactly represent a high-definition transfer, but all of its old-school fun remains intact as you avoid enemies and collect treasure. It's tough-as-nails, but if you grew up in that classic era then you'll feel right at home. "X-Men...Welcome to dieeeeee!" Right off the bat, Magneto lets you know what kind of romp you're in for with this entertaining brawler. It looks, sounds and plays just like its 90's arcade counterpart, and while it's short, it's certainly sweet - especially with friends in tow. Before Assassin's Creed IV: Black Flag brought pirating into the modern age, Sid Meier nailed the concept with his own simulation. It's received a terrific conversion to iPad Air, with loads of fun visuals and activities galore, including more ship battles than you'll know what to do with. Don't fail to set sail with this one when you grab your new iPad Air. A tale of swords and souls eternally retold, SoulCalibur flourished on the Sega Dreamcast in 1999. How Namco Bandai managed to cram that experience into this luxurious iPad Air app is beyond us, but what you're dealing with here is a very playable, smooth fighting game that'll keep you brawling for ages to come. Want to go for a ride? The Dreamcast/arcade classic Crazy Taxi received a more than solid conversion to iPads last year, and it still looks great on Apple's latest devices. With its ingenious "go anywhere in the city" gameplay, exciting visuals and restored soundtrack - featuring Bad Religion and Offspring tracks from the original game - it's worth the investment. If you don't have the money or the space to purchase a full-sized pinball machine, Farsight Studios' excellent sim is the next best thing. Featuring a number of classic machines from yesteryear - including Terminator 2, The Twilight Zone, Theater of Magic and others - Pinball Arcade also features realistic pinball gameplay, sharp graphics and music, and competitive leaderboards. New tables are being added every month too, ensuring the flipper party never ends. 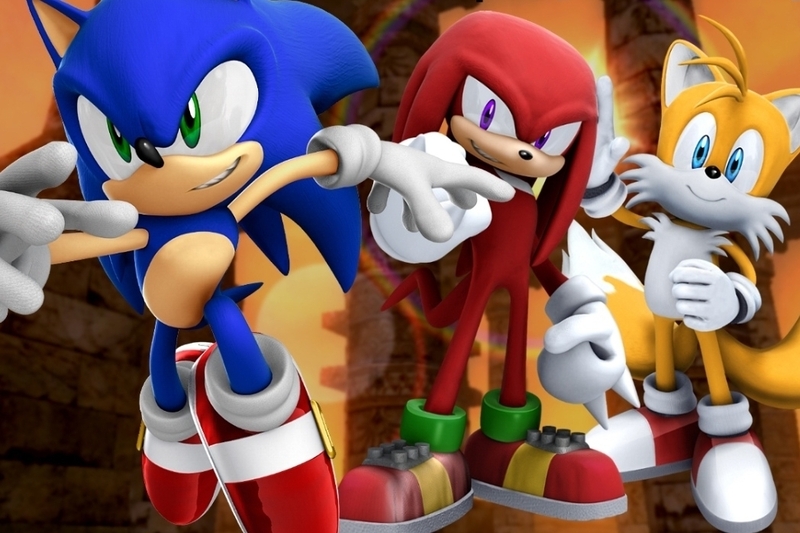 For the ultimate retro high on your iPad Air, there's no better character to turn to than Sonic the Hedgehog. Sega's remastering of this Sega CD classic is nothing short of incredible, thanks to responsive controls, quality audio and video, and secret stages that provide plenty of replay value.